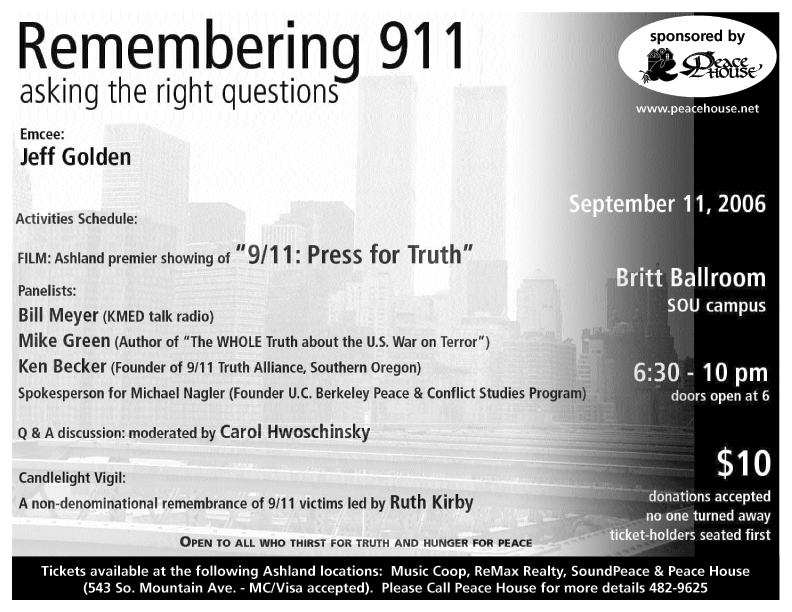 Join us for the premiere showing of “911 : Press For Truth”, an 84 minute documentary, immediately followed by a panel of local media personalities, authors and peace activists who will address the audience and respond to questions. The event is open to all media and sponsored by Peace House, an Ashland-based nonprofit center that serves as a local resource for education and a model of non-violent communication. With an emphasis on reconciliation between conflicting groups and individuals, Peace House explores ways in which people can live cooperatively with one another while participating in social change for peace and justice.